bella is using Smore newsletters to spread the word online. 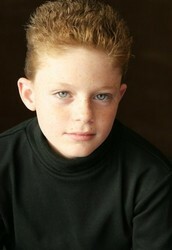 Sean Lance Berdy was born in Boca Raton, Florida, on June 3,1993. He was born deaf. His brother, Tyler Berdy, and his family are also deaf. Sean's "Hollywood debut" was when he appeared in The Sandlot 2 and is now known for starring in Switched at Birth as Emmett. "I consider myself hard of hearing since I was a baby and been using hearing aid. I speak well and love music. Without it, I'm totally deaf. :) "
They been dating since 2011. Sean went to Indiana School of Deaf. He describes himself the opposite of his character Emmett from Switch at Birth. Sean is now working on a one man show called "The Sean Berdy Show".